STREAM: Silver Jackson - "You and I Should Try Again"
We are thrilled to have the exclusive debut of a new single from Silver Jackson. That's right, you heard "You and I Should Try Again" here first. 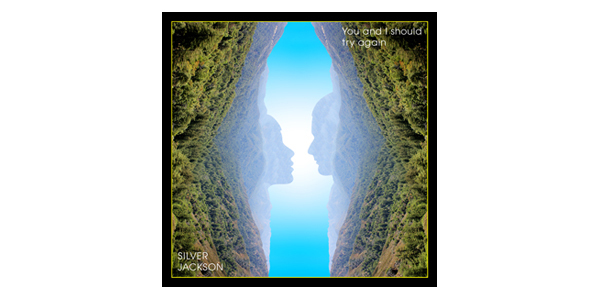 The new track from singer-songwriter, multi-instrumentalist and artist Silver Jackson is from his upcoming full-length album, From Another World Like Starlight. We already fell in love with the first track he shared - "Perfect Mistake" - and his latest single is a slow-rolling, moving, sweet and heartwrenching slice of downtempo about love and loss that features the rich vocals of another RPM favourite, Samantha Crain, and contributions from Seattle's Benjamin Verdoes of Iska Dhaaf, and hip-hop producer OC Notes. This song is back porch hip-hop, a fish you cannot grab. Swimming in a digital voicemail is a downtempo silvery thing, and it bumps. It’s a song about true love, feeling a type of way, being addicted to leaving, maybe turning a corner. STREAM: Mau Power - "Island Home"